This is not just any hot chocolate! 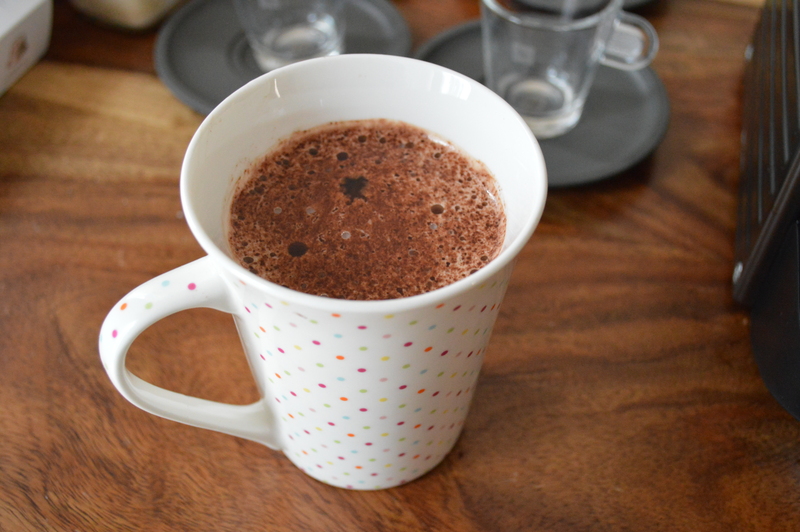 1 tsp organic cocoa powder, 1 tsp organic maca powder, 1 tsp honey, a tiny bit of coconut oil all mixed with hot milk for a super energising, healthy hot chocolate! Finish with a dusting of cocoa powder!